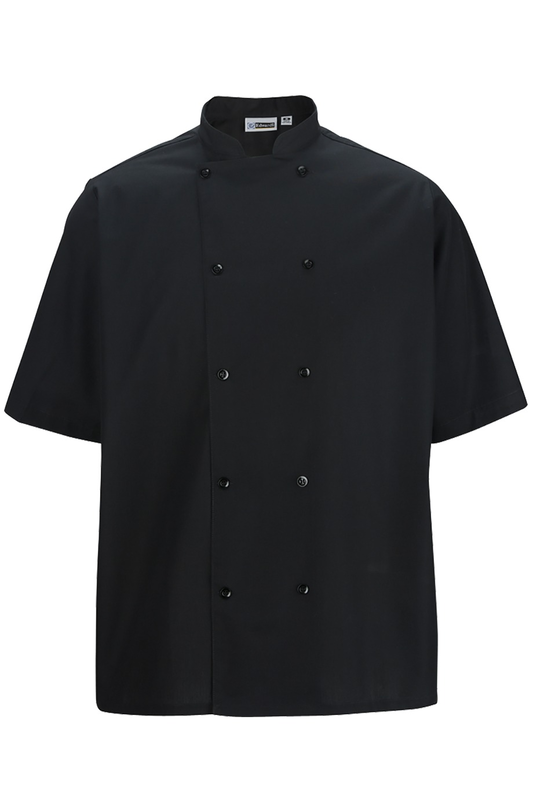 Made from a lightweight 4.5 ounce poplin fabric, our womens and mens double breasted shirts complete any set of waitstaff uniforms. 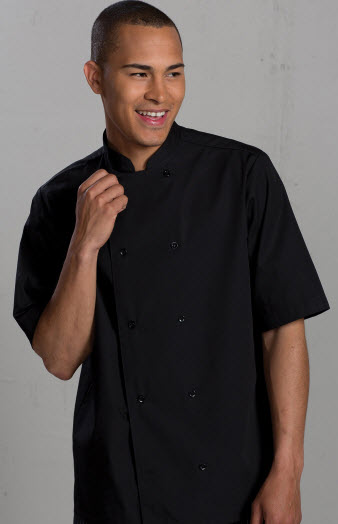 These double breasted shirts come in both long and short sleeve options with plastic buttons and no chest pocket for a smooth look and silhouette. Shirt body is two inches longer than standard shirts for easier tucking. 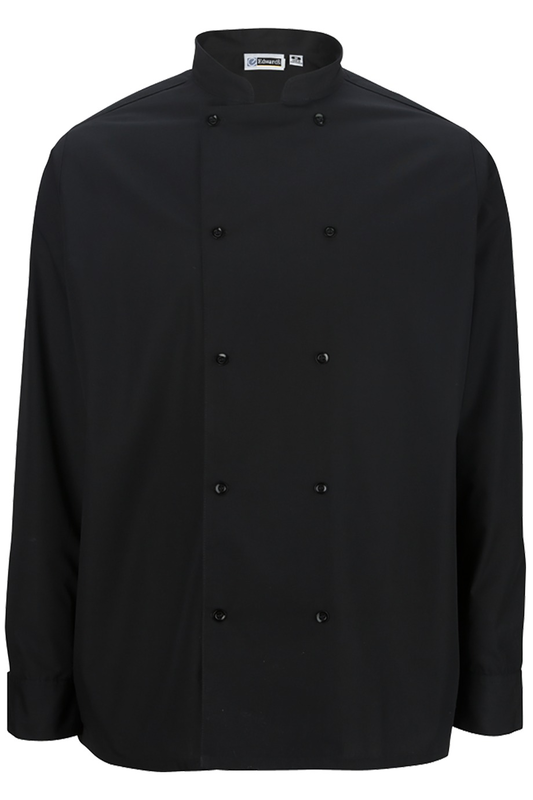 The length alone makes this ideal for any member of your waitstaff. 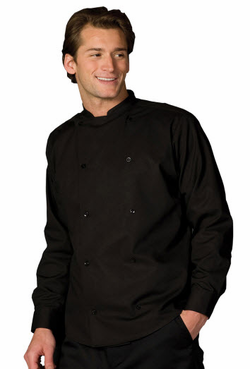 As a staple of your waitstaff uniforms, these unisex double breasted shirts offer a polished appearance that makes the right impression with your guests. Unisex sizing is given with chest/bust measurements for your convenience. Choose from black or white womens and mens double breasted shirts from our selection. 65% polyester and 35% cotton, 4.25 oz. wt.